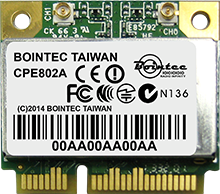 Bointec CPE803K is a WLAN card in half-mini PCIe type supporting PCI Express interface. 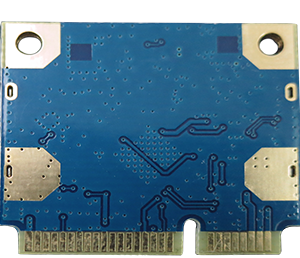 This card supplies better wireless connectivity, higher speed, and extended distance for notebook platforms, embedded devices and high end gaming machines. 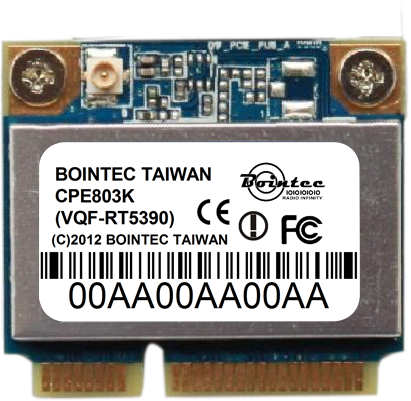 Bointec CPE803K WLAN card is designed to operate in 2.4GHz frequency and fully complies with 802.11n draft 4.0 and IEEE 802.11b/g standards based on 1T1R mode. 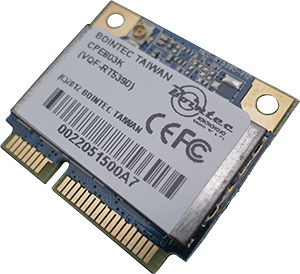 A Ralink RT5390 MAC/BBP/Transceiver single chip is used to deliver high-performance of the latest Wi-Fi technology, including software driver support for Microsoft Windows Vista, XP, 2K, Mac OS Xand Linux.